For 17 years, Katriel Paige has been involved with learning about Japanese cultures and sacred cultures - at first, becoming curious thanks to fandom and shows like Sailor Moon. Now, Katriel presents series analyses of anime and game series, such as Persona, overviews of cultural aspects such as poetry, aesthetics, and sacred cultures, & even more. 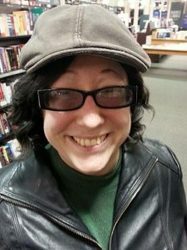 Katriel works in technology, and so occasionally speaks to or writes about issues concerning the intersections of technology with humanities. They have written for venues such as Paste Magazine, Mac|Life, and The Establishment in the past. If you're seeking academic credentials, they have an MA in Intercultural Communication and BAs in English and East Asian Studies.